The world is in a climate crisis and to survive, we have to adopt clean renewable energy as soon as possible. Solar power is one of the fastest growing clean energy sources in the world – but our ability to use it in New Zealand is under threat. Big energy companies see solar as a threat to their profits and their control of your power. Right now they’re moving to cut it off. Their first move is the new solar tax in Hawke’s Bay which penalises people who have solar panels. We must push back before that spreads nationwide and tell the Electricity Authority to Say No to the Solar Tax. Sign and share the petition now! Ross Hill, General Manager of Legal and Compliance at the Electricity Authority, shaking musician Tiki Taane’s hand as he presents the petition. 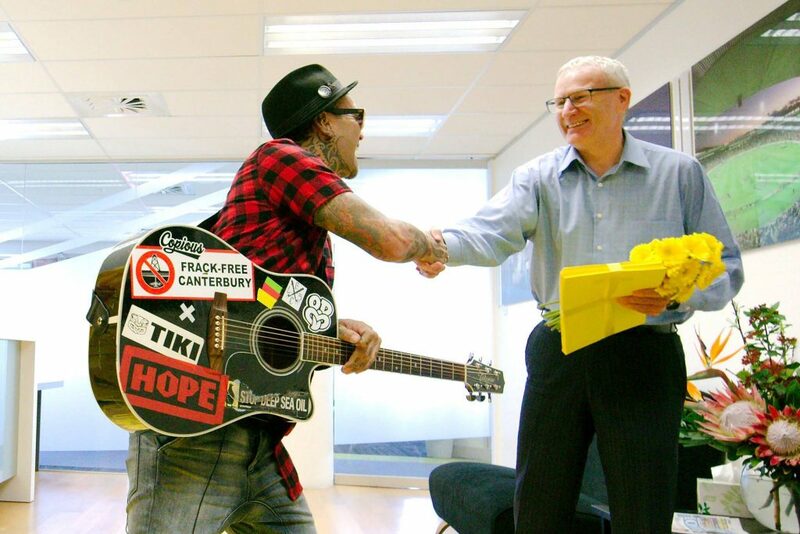 Today, Tiki brought over 45,000 paper suns to New Zealand’s electricity watchdog, the Electricity Authority, each with the name of someone who signed a petition demanding the authority support solar energy and prohibit electricity providers from penalising solar users. Photo by Greenpeace/Marty Melville — in Wellington, New Zealand. 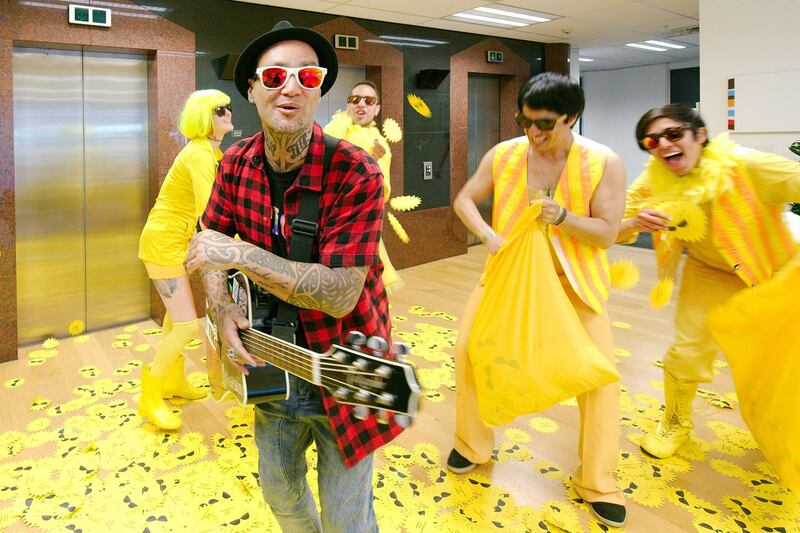 Next time, he won’t knock with a guitar – but with a shotgun – with his Maori friends.